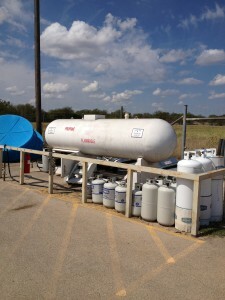 Bar None Country Store can refill all types of propane tanks for all your needs. We offer competitive propane prices by the gallon, seven days a week. Refill your propane tanks at Bar None Country Store, and save money! Refilling your propane tank is cheaper than exchanging. If you exchange your propane tank, you don’t receive credit for any propane that was left in the tank. Get your propane tank refilled at Bar None Country Store, and only pay for propane you need. This entry was posted on Friday, September 27th, 2013 at 4:22 am	and is filed under News & Updates. You can follow any responses to this entry through the RSS 2.0 feed. Both comments and pings are currently closed.